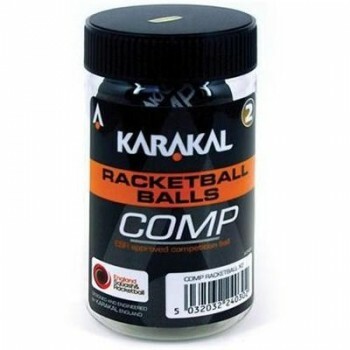 A Racketball ball with lower bounce designed for tournament play. Karakal's CRX-Hybrid racketball is our mid range racket and gives great playability. Designed with the improving palyer in mind. This Racketball Racket gives great playability and is the perfect racket for beginners and improving players alike. If you are a player that gets on the court once or twice a week you want an inexpensive racquet with technology and durability from a brand you can trust. There is a reason that there are more racquets sold by Wilson to recreational players than any other brand. Good value, durability and a brand you can call home. Staying true to Wilson red, the Wilson Striker Racquet is a solid, durable frame for those beginners that need extra durability for their game. Made of aluminum, this entry-level racquet is a good choice for beginners or juniors looking to kick-start their game.